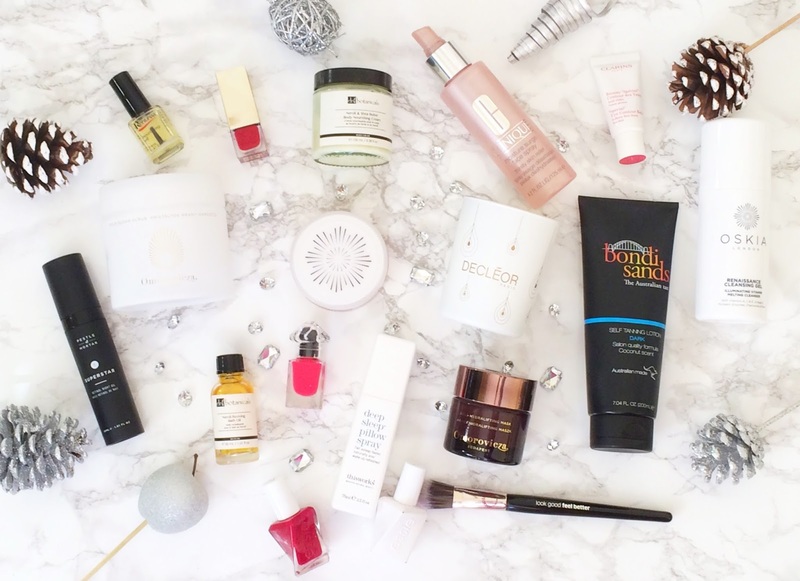 My ultimate Christmas pamper routine featuring Omorovicza, Dr Botanicals, Essie, Pestle & Mortar and more! Christmas is my favourite of all of the holidays and really is the most wonderful time of the year, however it can also be hectic, no matter how organised you are. Every year, I take one evening in the week before Christmas to take time out and just pamper myself to recharge my batteries and get ready for the festive season. I put my phone on silent, close the laptop and just focus on myself. Today, I am going to share with you the products that I will be using this year for my ultimate pamper night! A lot of them are luxury products, but if you can't go all out at Christmas, then when can you? I always start by lighting a candle and then running a bath. My current picks are a Decleor candle, which is subtle, rather than overpowering - my preference for a relaxing night and Dr Botanicals Neroli Bath Oil. Just a few drops of this oil fills the room with the aroma of Neroli, which is known for it's anti-anxiety properties - perfect for this time of year when nerves can be frazzled thinking about all that needs to be done! It also contains Sweet Almond Oil and Jojoba Oil, both of which help to hydrate the skin. Before I get into the bath, I cleanse with Oskia Renaissance Cleansing Gel and then follow with one of my favourite masks, also from Oskia: Renaissance Mask. Regular readers will know how much I love this mask because it deeply cleanses, exfoliates, brightens and softens the skin. I leave this mask on when I'm in the bath and while this is working its magic, I turn my attention to my body. I love to wear fake tan so to prepare for that, I make sure that my body is well exfoliated to ensure an even tan. Even if I'm not applying tan, I exfoliate regularly to keep my skin feeling soft and smooth. 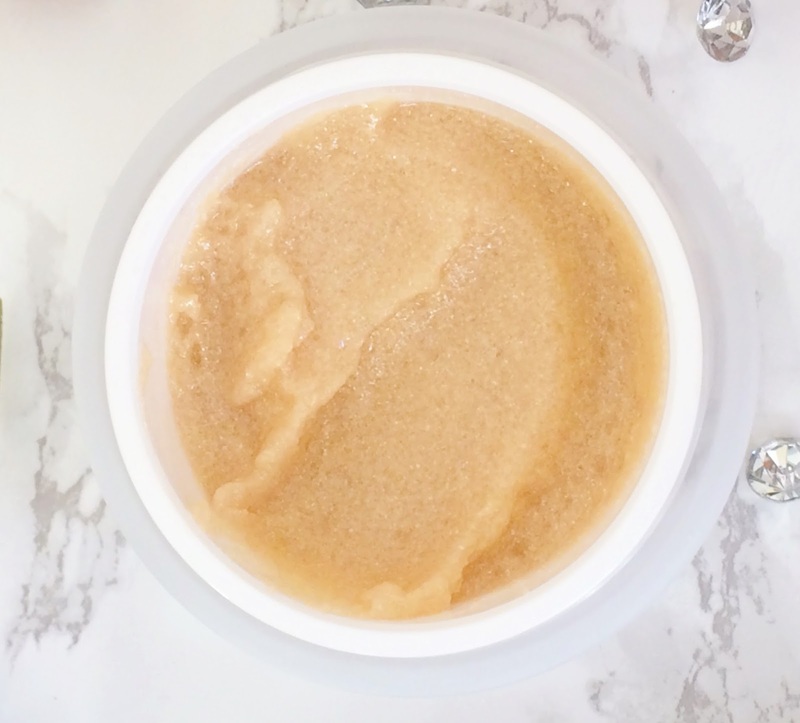 My current favourite is Omorovicza Gold Sugar Scrub, which I apply in circular motions, paying particular attention to my knees, heels and elbows where my skin is driest. This scrub is gritty enough to really remove all of the dead layers of skin, yet it isn't in any way harsh (all Omorovicza products that I have tried are very gentle, yet very effective). It has a beautiful light floral scent and the ingredients of colloidal gold, vitamin C and apricot kernel oil all serve to leave my skin silky soft and ready for the next step. After a good soak in the bath (staying until my fingers are wrinkly! ), I remove the Oskia mask. At this point, I then apply a second mask - Omorovicza Gold Hydralifting Mask, because this is all about pampering and prepping myself as much as possible. I like to apply this mask with my Look Good, Feel Better Foundation Brush because it enables me to apply an even layer all over my face. This brush is meant for foundation (obviously, from the name! ), but I don't actually like it for that purpose. This mask has the most beautiful, delicate rose scent and it instantly soothes my skin. It also packs a punch in terms of moisture and leaves my skin feeling very soft and looking very plump, radiant and more youthful. Whilst that mask is working its magic, I apply some moisturiser to my elbows, knees, heels and hands - basically anywhere that has a tendency to be dry. I like to use matching scented products, where possible so I am delighted to have the Dr Botanicals Neroli & Shea Butter Body Nourishing Cream - like the bath oil, this body cream has the most beautiful, calming scent and a tiny amount goes a long way. I then remove my second mask, spritz my face with Clinique Moisture Surge Facial Spray, apply some Clarins Special Eye Contour Balm and then follow up with an overnight treatment. I am currently using Pestle & Mortar Superstar Retinol Night Oil, which I had to buy after hearing Caroline Hirons rave about it. Finally, it's time to get my tan on and my current favourite is Bondi Sands Self Tanning Lotion because it lasts around 10 days, which means it will see me right through the festive season - who has time to re-apply tan over the holidays?! It gives an even, streak-free tan and fades evenly too. Then it's time to paint my nails and, of course, it has to be a festive red. I have three to choose from: Burberry Military Red, Guerlain La Petite Robe Noir in Red Heels or Essie Bubbles Only. Regardless of which polish I wear, the top coat that will make them last for at least 7 days without chipping is Essie Gel Couture Top Coat. This pamper routine is all about using products that will last at least a week so that I don't have to make time to do them again over the festive season! I maintain my manicure with Renunail Nourishing Oil, which also helps keep my cuticles from snagging. Then it's time for bed and to ensure I get a good nights sleep, I always use my This Works Deep Sleep Pillow Spray. I swear by the This Works Deep Sleep range for an unbroken, deep sleep. My Granda used to tell me that I was very fond of myself and I think this post proves it! I believe that it's a good thing to take some time out for yourself - it's good for the mind, body and soul and it really prepare me for the busy festive season. I'd love to hear if you take time to pamper yourself and what your favourite products to use are? Please tell me in the comments below! All products were bought by me except for the two Dr Botanicals products, Look Good Feel Better Brush, and the two Omorovicza products, which were very kindly sent to me. Opinion is always my own.